Manuel A. Capsalis is the recipient of the 2015 Virginia State Bar Diversity Conference’s Clarence M. Dunnaville Jr. Achievement Award. Capsalis is being honored for fostering, encouraging, and facilitating diversity and inclusion in the bar, the judiciary, and the legal profession. Capsalis served as president of the Virginia State Bar in 2008-09. Before becoming president, Capsalis formed the bar’s Diversity Task Force, composed of lawyers and other community leaders, which led to creation of the Diversity Conference of the VSB. “Because of (Capsalis’s) foresight, his hard work, and his competent leadership as the president of the State Bar, the Diversity Conference was finally established in 2010 by recommendation of Bar Council … and final approval by the Virginia Supreme Court,” Conference Chair Eva N. Juncker wrote. “Manny’s leadership and his diligent efforts have made the Diversity Conference what it is today.” Capsalis was the Diversity Conference’s first chair. Capsalis has been a member of the VSB Council and served on its Executive Committee. He is on the VSB Standing Committee on Professionalism. He has also served as a faculty member of the VSB Harry L. Carrico Professionalism Course and the Law School Professionalism Program. He is a past-chair of the VSB Conference of Local Bar Associations and served on its board of directors. He also is a member of the Chief Justice’s Indigent Defense Training Initiative. He is a past-member of the VSB Budget and Finance Committee. Capsalis also is a fellow of the Virginia Law Foundation, a member of its board of directors, and served as its president. He is a past-president of the Arlington County Bar Association, and is a former member of the board of directors of the Arlington County Bar Foundation. He is a past-president of Arlington County’s Walter T. McCarthy Law Library Board. 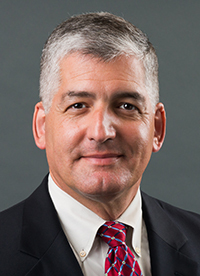 In February 2015, Capsalis was appointed by the Virginia General Assembly as a judge in the Nineteenth Judicial District and will begin his appointment to the Fairfax County General District Court on July 1, 2015. Capsalis received a B.A. from Duke University in 1981, an M.A. from George Mason University in 1984, and his law degree from the George Mason University School of Law in 1988. The award will be presented June 19 during the Virginia State Bar Annual Meeting in Virginia Beach.